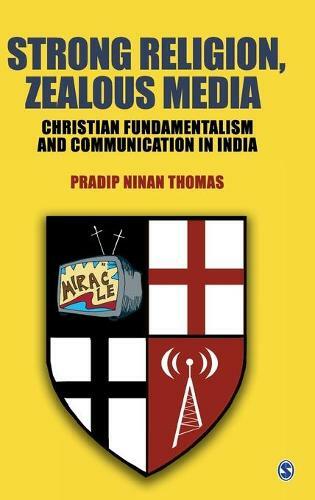 Strong Religion, Zealous Media: Christian Fundamentalism and Communication in India is the first in-depth cultural and social analysis of the growth of conservative forms of Christianity within the Protestant tradition in India and the many ways in which these new churches use the media. Arguing that Christian broadcasting needs to be seen as an essential aspect of a `muscular` Christianity that has increasingly colonised globalising cities such as Chennai, the book concludes with a strong validation of multi-religious India and the need for a robust inter-faith media response to combat religious fundamentalism. This is a highly recommended reading for students, researchers and social scientists involved in religion and media issues, religion departments, seminaries, civil society involved in inter-faith issues and all those who are interested in exploring the politics of religion in the subcontinent. This book is the first in-depth cultural and social analysis of the growth of conservative forms of Christianity within the Protestant tradition in India and the many ways in which these new churches use the media. Taking head-on the delicate matter of minority fundamentalism, Thomas gives the reader insights into a less discussed phenomenon - the communication strategies adopted by the Pentecostalist traditions, old and new...he chronicles a fascinating history of the use of the media by the Protestant church in India...a good read for those interested in religious fundamentalism, the media and society. The book...is a "wake-up call" to the traditional church in India to recognise the danger of fundamentalist incursions into a faith that is largely seen as beneficial and peaceful, surviving for several thousand years in a multicultural, multi-religious space, which this subcontinent has provided.